Yesterday I took a trip to our Fifth Avenue location. Live in New York and didn't know we had a location in the city? Well, it's located on Fifth Avenue between 35th and 36th streets. It always has a great selection of merchandise. Any how... 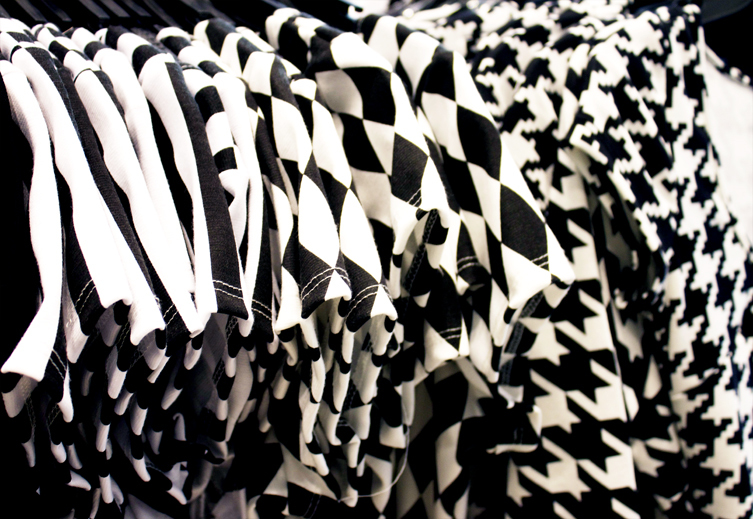 If you've recently visited a Rainbow store you must've noticed we're carrying every black and white graphic print from stripes to houndstooth this season. I guess you can say we're all in! Below are a few style tips on how to wear these graphic prints. 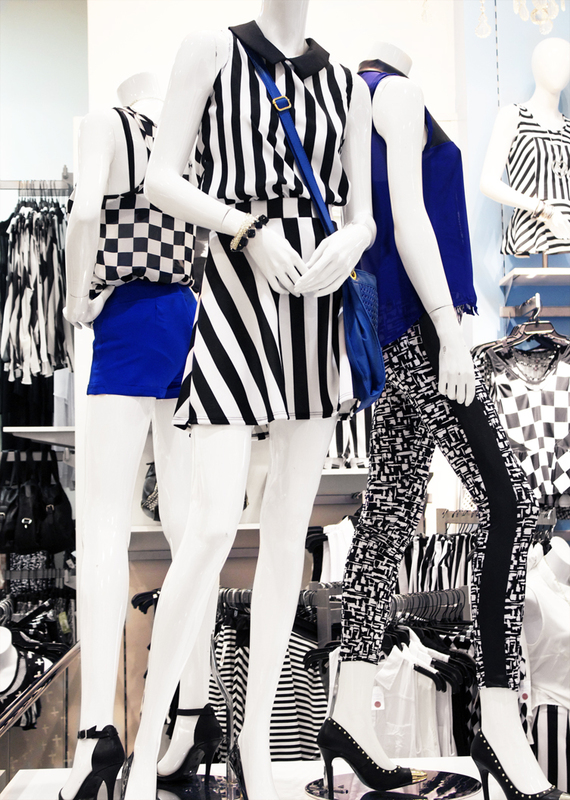 If you're not comfortable with a head to toe black and white look, throw a bold color into the mix. I recommend cobalt blue. 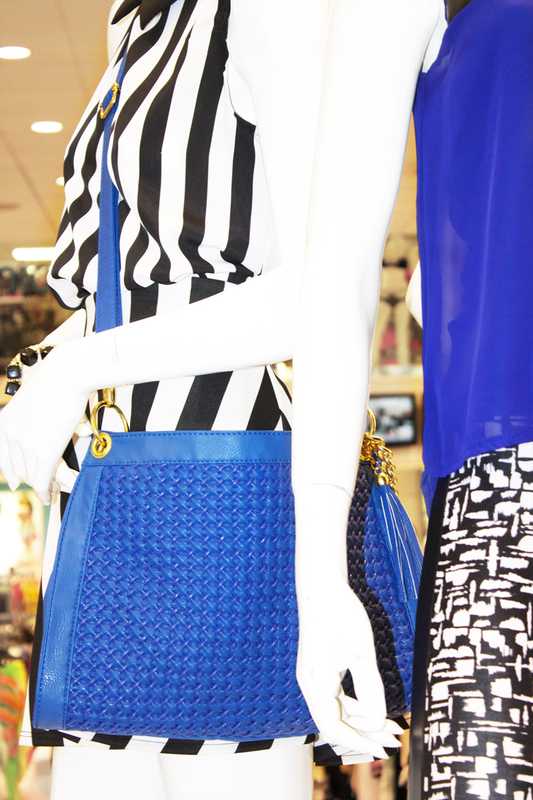 Cobalt blue will enhance the graphic prints and maintain the modern feel of the trend. If you're looking to tone down the bold patterns, pair them with pastels such as mint and baby pink. Another color option is neon, this color combo will result in a retro look. When choosing jewelry for your black and white look, I'd gravitate towards gold. Gold pops against the busiest prints. 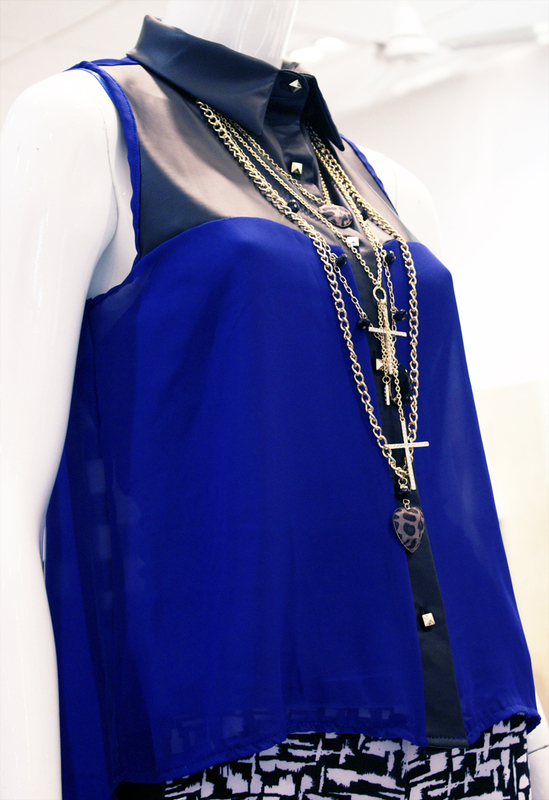 Silver jewelry will be virtually non existent when worn with this striking look . I guess if you're a low key kind of gal, silver works. But for risk-takers like myself, gold is the way to go. In the photo above I layered several think gold chains with small charms. Wearing several small chains is the equivalent of wearing one large collar necklace. 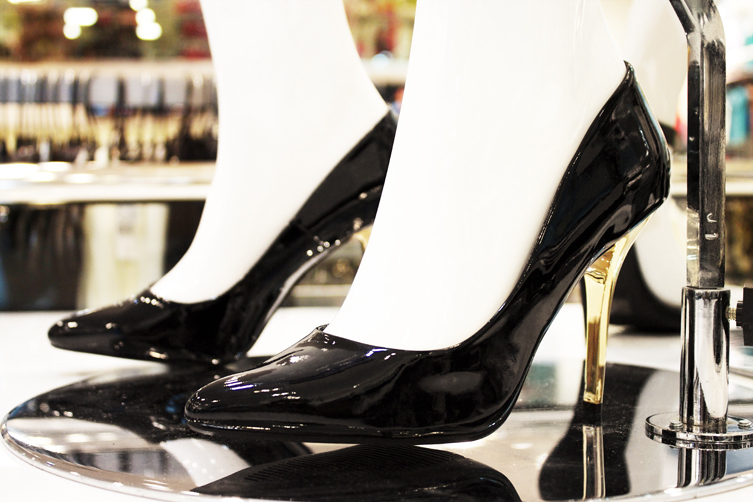 Last and of course not least, complete your black and white outfits with coordinating shoes. Single sole pumps are the shoe of the moment and go with everything. Gold details, icing on the cake. If you're on instagram tag your black and white outfit photos #rainbowshops, we would love to see how you're rocking the trend. While you're at it follow us @RainbowApparel.